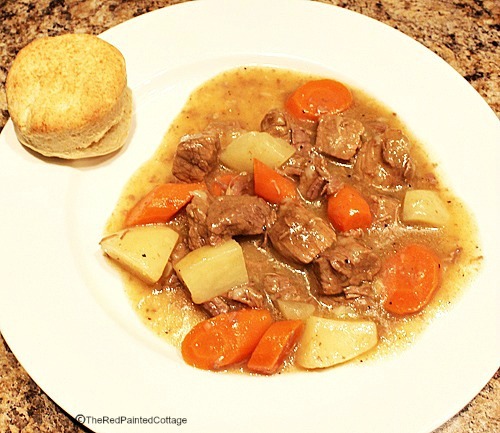 This is one of the best beef stew recipes I’ve had. I discovered it over 47 years ago when we were newly married; and somewhere along the way, I started making it for our Christmas Eve dinner. It’s become a tradition for us to have this on Christmas Eve ever since. Everyone who has ever had it really loves it because it’s so full of flavor. 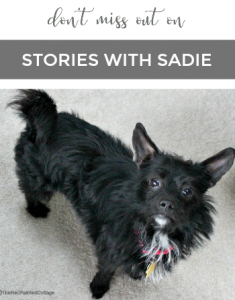 I was really hoping to have shared this recipe with you last week, but it just didn’t work out, so here it finally is. A hearty beef stew that is bursting with flavor. 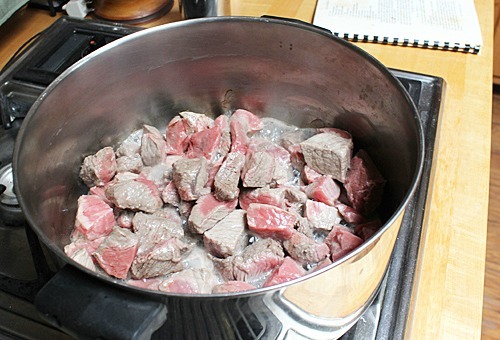 Trim any excess fat from the stewing beef. Add the beef and as it browns, add the sliced and quartered onions. 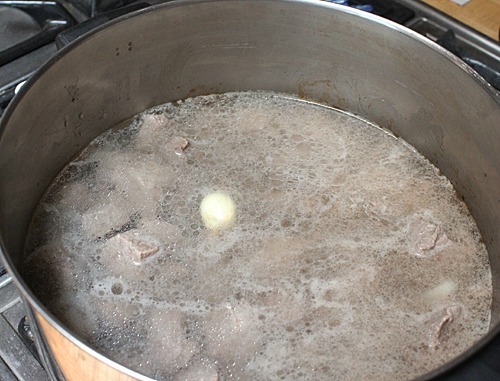 Continue to brown the beef and cook until the onions are translucent. Add the crushed garlic or with it on a toothpick. Add the boiling water, salt, lemon juice, sugar, Worcestershire sauce (along with a couple extra splats of this to the pot), pepper, paprika, bay leaf and cloves. 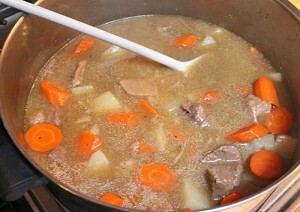 Add the potatoes and carrots, and continue to simmer until the vegetables are cooked and the meat is tender. 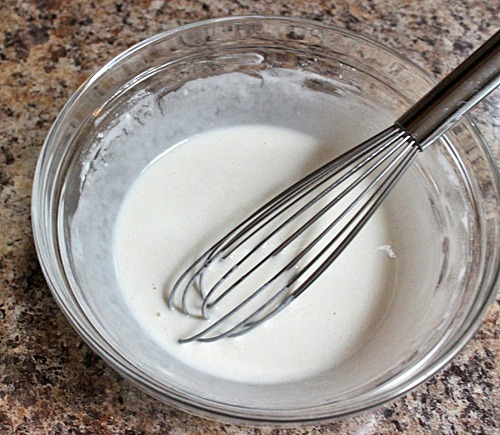 Whisk together 1/2 cup cold water and 1/4 cup flour. A shaker will also work, if you have one. Whisk until there are no lumps. If by chance you have lumps, strain through a wire strainer. 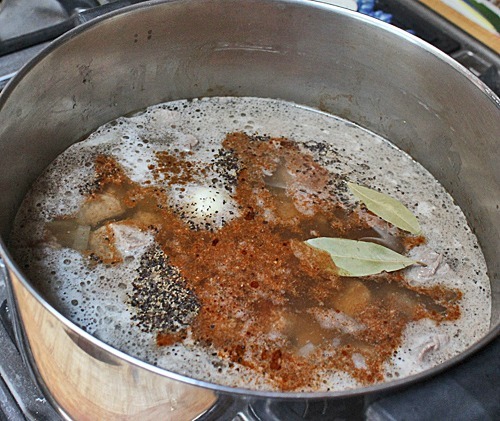 Stir this flour mixture into the broth and cook, stirring constantly, until the gravy thickens and boils. 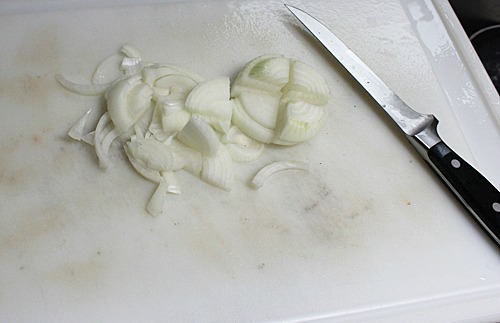 After slicing the onion, I cut it into quarters, as shown above. 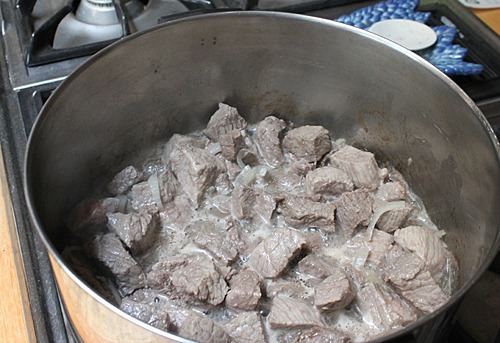 Start by adding the stewing beef and as it starts to brown, add in the onions. The original recipe called for a toothpick to be put through a garlic clove and to be retrieved later; but it always cooked and fell off the toothpick and ended up somewhere in the stew. So I just recently started crushing the garlic instead. The above photo (which I took a couple of years ago), shows the garlic on the toothpick. Either way is fine with the garlic. After the boiling water has been added, then add in the rest of the seasonings, as listed above. Stir well, then cover and simmer for at least 2 hours. At this point the toothpick (with hopefully the garlic still on it), and the bay leaf can be removed. Whisk together the cold water and flour until it’s smooth. Add the flour mixture to the broth and stir constantly until it thickens and boils. 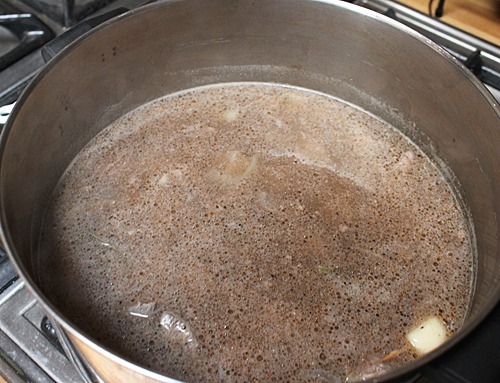 The gravy will be thickened, but not thick, as shown above. This is excellent served over biscuits or with biscuits on the side. I’ll share my great Southern-style buttermilk biscuit recipe with you in the next few weeks. 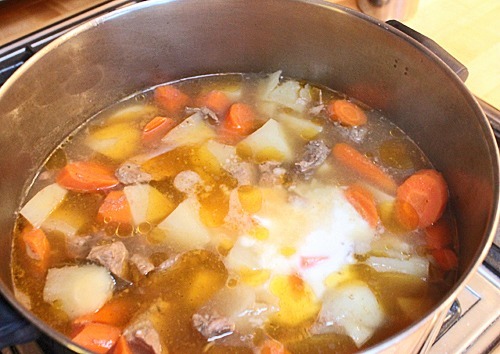 My sweetie loves a good beef stew - thanks for sharing your recipe, Carol!! Debbie, this really is a very great tasting beef stew. Our kids go crazy over it and they're all adults now! Debbie, It really is delicious. I hope you try it some day. 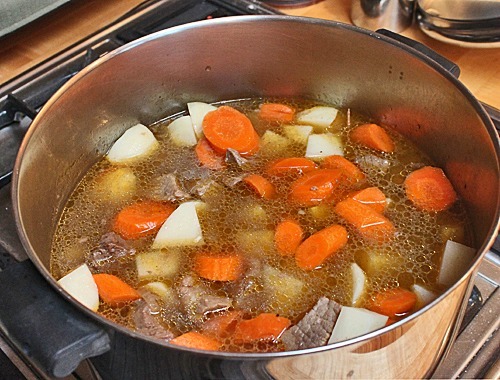 Carol my husband loves beef stew, and your recipe looks yummy. I'm going to pin it and make some for him. Then if I get on his good side, maybe he'll help me with my diy projects. Mary, If you make this for him, please let me know what he thinks of it. All our kids grew up with it and even as adults, they love when I make it. I like your idea about about him helping you with your DIY projects. My husband was such a good sport on helping with the board and batten we put up, considering it was all my idea. oh yeah i want some of this old time beef stew! thanks for the delish and easy to follow recipe! It really is delicious and I guarantee that you'll love how it taste! Thank you for your comment. Debbie, I'm going to post my biscuit recipe either Friday or early next week. My husband just puts his biscuit in a bowl or on a plate and covers it with the stew. I, on the other hand, love my biscuits and I eat it along with my stew. Charlotte, Maybe your nanny would be willing to try this recipe? Remind me about next week and I will! I love a good thick hearty soup in the winter, I bet my family would love this too. I made some gluten free biscuits the other night and I bet they would be perfect with this stew!!! It's so cold now, I could use a bowl of this to warm me from the inside out! This stew is so full of flavor from all the seasonings that go into it. Everyone who has had it, loves it! Cindy, it's so full of yummy flavor and so comforting on a cold day. Thank you! This looks SO delicious. 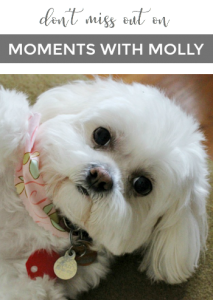 Thanks so much for sharing it at Talk of the Town!